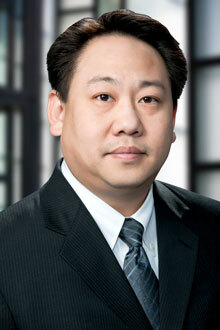 John Yung is a partner in the Sacramento office of Lewis Brisbois and a member of the Corporate Practice. John focuses his practice on corporate, securities, and international business matters, with particular emphasis on assisting Chinese companies in accessing the U.S. capital markets. With more than a decade in representing publicly traded and private companies, John has extensive experience in a variety of financing transactions including venture capital financing, private equity financings, secured debt, public offerings, PIPEs, follow-on and secondary financings. In addition, John assists private and public companies in a wide variety of matters including establishment of a representative office or wholly-foreign owned enterprise (WFOE) in China, fund formation, joint ventures, due diligence, mergers and acquisitions, cross border transactions and intellectual property rights and licensing. John also represents clients before the Committee on Foreign Investment in the United States (CFIUS) in connection with cross border mergers and acquisitions. John understands the challenges that his clients face in managing a business, from navigating the complex legal environment to reconciling the differences in business culture between regions such as the U.S. and Asia. With that understanding, he plays strategic role to his clients as a trusted advisor by providing sound legal and result-oriented solutions to his clients’ problems. Represented one of the largest US electrical contractor companies in connection with its reorganization and fairness hearing in front of the California Department of Corporation pursuant to Section 3(a)(10) of the Securities Act of 1933, as amended, and California Corporations Code Section 25142. Represented a China-based microfinance company with a direct listing onto the NYSE American pursuant to a backdoor listing process and reorganization. Represented a Chinese listed public company in the acquisition of a U.S. real estate holding company. Represented China-based companies in connection with investments in the U.S.